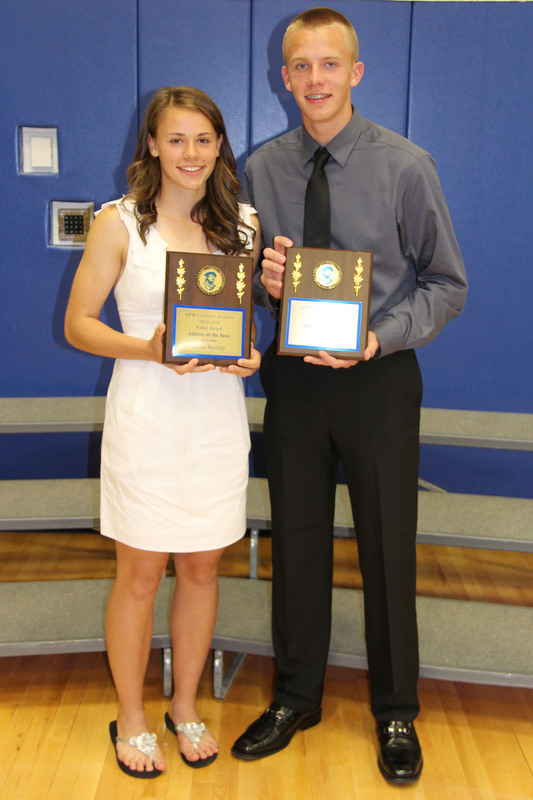 The 2014 Altmar-Parish-Williamstown Central School District Outstanding Athletes of the Year are Kylee Bartlett, left, and Sage Bartlett. 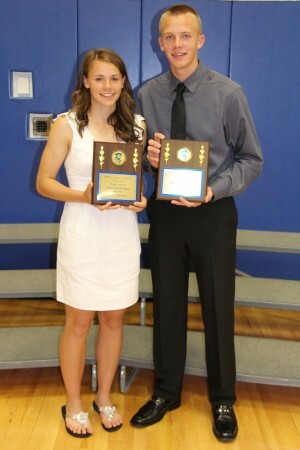 The brother and sister pair participated in the pentathlon event in the 2014 New York State Public High School Athletic Association Outdoor Track and Field Championship in early June. Kylee, a junior, broke a 25-year Section III record and captured first place in the event while Sage, a sophomore, took fifth place. The Altmar-Parish-Williamstown Central School District presents the C. Rex Crosby Athletic Citizenship Award annually to one senior who is outstanding in athletic ability, sports membership, and value to the team while also exemplifying citizenship and sportsmanship. 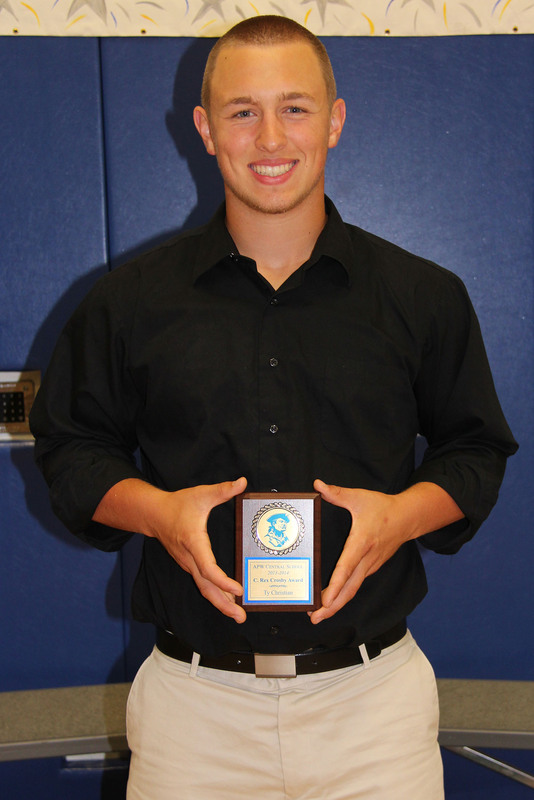 The 2014 award was presented to three-sport athlete Ty Christian (football, basketball, and baseball). 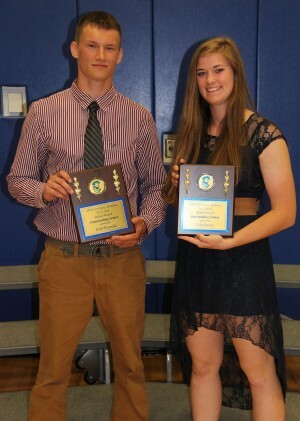 Jarid Paninksi, left, and Erin Stever were recognized for their contributions to the Altmar-Parish-Williamstown athletic program with the 2014 APW Outstanding Senior Athlete Award and the 2014 Floyd G. Bristol Memorial Award. 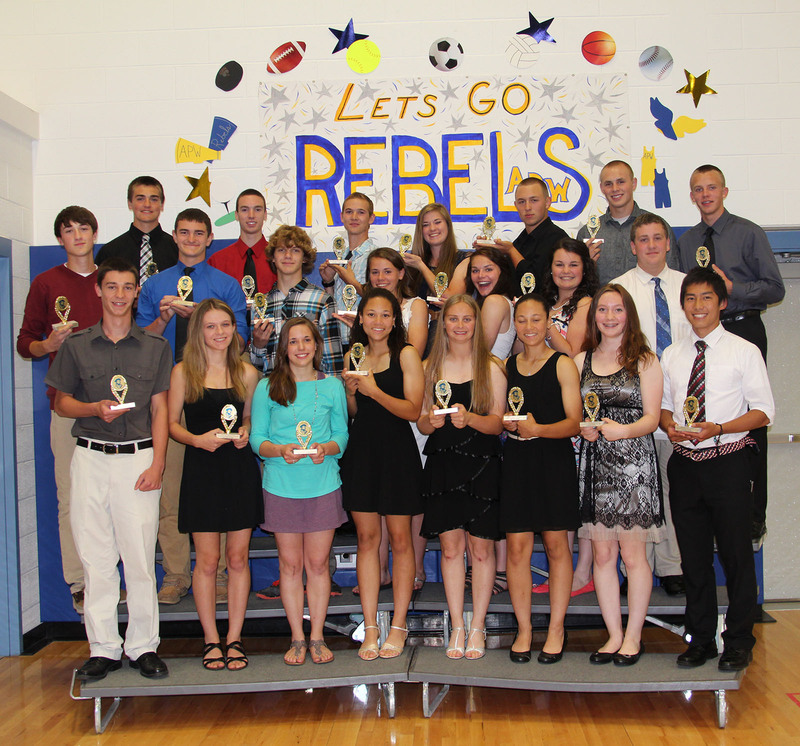 The 2014 Altmar-Parish-Williamstown Ultimate Rebel Award recognizes student athletes that participated in three varsity sports during the 2013-2014 school year. 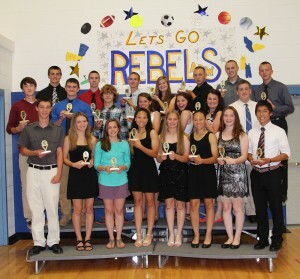 The athletes presented with this award at the annual athletic banquet include: Austin Appleby, Amanda Barry, Kylee Bartlett, Sage Bartlett, Kenneth Benedetto, Ty Christian, Maggie Cooper, Baron Correll, Andrew Hale, Michael Hale, Benjamin Haskins, Deshae Jones, Devin Jones, Joseph Karboski, Matthew Miller, Zachery Mosher, Kate Palmer, Sarah Pappa, Amber Rice, Erin Stever, Rachael Thormann, Masato Wada. 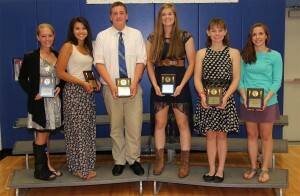 The Altmar-Parish-Williamstown Academic Athletic Award recognizes student-athletes that participated in at least two varsity sports during a school year and maintained an overall grade point average of at least 90. Earning this distinction for the 2013-14 school year and recognized at the annual athletic banquet were, left to right: Emilie Mullin, Shaylah Nichols, Andrew Hale, Erin Stever, Chelsea Cooper, and Rachel Thormann. Also earning the award but unavailable at time of photo was Jared DeMarais.